& from Republic of Ireland / Éire including Kilnamona. 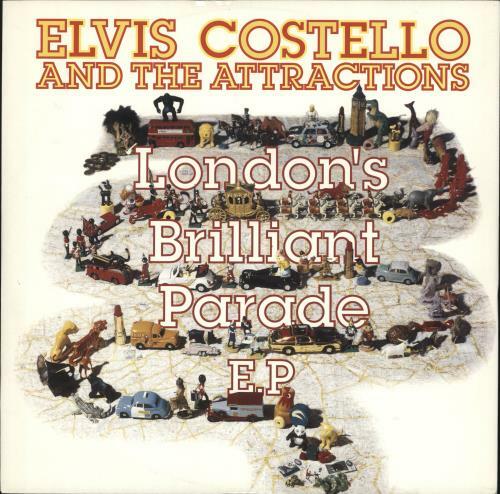 Product Information Elvis Costello London's Brilliant Parade EP UK 12" vinyl single (12 inch record / Maxi-single). Additional info Deleted - A deleted or out-of-print item is one that is no longer manufactured. However, we stock thousands of out-of-print formats and we specialise in tracking down out-of-print, deleted and hard-to-find releases.